Benefits of Mindfulness and Meditation and being immersed in Nature. 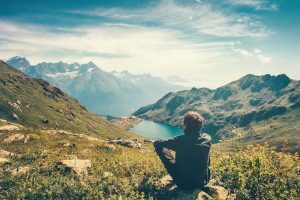 The Benefits of Mindfulness, Meditation and being immersed in Nature. While Mindfulness and Meditation have long been recognised for their relaxation and mental health benefits, being practised by multiple religions for thousands years, only recently has scientific research begun to support these practices. Research has shown that meditation has the ability to not only reduce anxiety, but also to improve your immune system and reduce pain. With the fast-paced nature of contemporary society mindfulness and meditation is relevant now more than ever in providing an escape and mental wellbeing. Please read on to find just some of the key benefits of these practices. These statements have been adapted from SMARTfoundations wellbeing coach manual. These are just some of the benefits to the practises promoted by Breathe Outdoors. However it is worth bearing in mind that not everyone will have the same experience or the same benefits. This can be due to age, practise habits and personal experiences.